While city breaks are exciting and mountain escapes are refreshing, there's nothing quite like being by the sea and lounging on a beach. 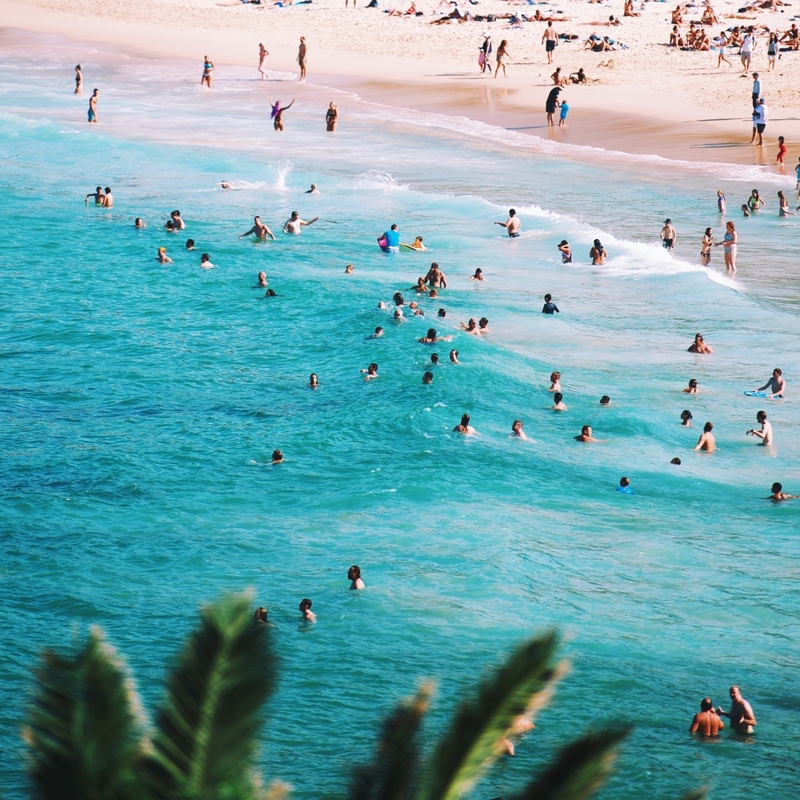 And if you're dreaming of your next escape to the seaside, good news: Flight Network — Canada's largest travel website -- has released its second annual list of the world's best beaches. Chosen by almost double the number of travel experts as the previous year, the 2018 list was compiled by over 1,200 travel-obsessed journalists, editors, bloggers, and agencies from around the world. The World's Best Beaches for 2018 has been designed to "provide travelers with a one-stop resource for the most enchanting and exotic shores in the world" and "ignite your wanderlust and inspire the planning of your next great beach adventure." From red sandy coastlines in Crete to clear waters in Micronesia, the list features beaches from all over the world, ranked based on sheer untouched beauty, remoteness, sand and water quality, average days of sunshine, and average annual temperature. Located in a beautiful secluded cove surrounded by towering golden cliffs, the best beach in the world was named as Shipwreck (AKA Navagio) Beach in Zakynthos, which is only reachable by boat. The beach is so-called because it is home to the Freightliner MV Panagiotis shipwreck, which makes a visit all the more unique. Maintaining its number two spot for a second year is Whitehaven Beach on the Whitsunday Islands, which is only accessible by helicopter or seaplane. "The contrast of the piercing-white sand against the fluorescent-green backdrop of the tropical forest on the island's mountains will leave you speechless," Flight Network says. Hidden Beach's defining characteristic is its protruding limestone cliffs which shoot out of the turquoise-blue lagoon. This remote beach is nestled on the small island of Fernando de Noronha — you have to travel for about an hour off the coast of Brazil, then hike, scoot down a dark, narrow tunnel and climb down steep stairs to reach it. Not only does this beach feature postcard-perfect white sands and teal waters, but it's lined with bohemian-esque restaurants and accommodation. Described by the judges as "flawless," Grace Bay has a rainbow-coloured reef just off shore and the sea is clear as crystal. The beach, which came in at number one last year, also has over 300 days of sunshine a year. Plentiful palm trees and turquoise water make Seven Mile Beach an idyllic ocean scene. This is the world's most photographed beach, according to Flight Network — and for good reason. The sand is dotted with boulders, the water a vivid aquamarine, and the sand shimmers at sunset. Surrounded by 100-metre high cliffs and only accessible by boat, Maya Bay's turquoise waters and lush scenery have provided the location for dozens of film scenes. Source: Varadero Beach is considered to be the best in Cuba, thanks to its fine, white sand, bubbling blue water, and never-ending pina coladas. The view of Kelingking is arguably more popular than the beach itself. From a steep, lush cliff visitors look down onto the sugar-white sand enveloped by the famous limestone headland that reaches out into the Indian Ocean. Also nicknamed ‘T-Rex Bay’ for its arm-shaped rock, Kelingking Beach is remotely set on the southwestern coast of Nusa Penida island. Located 30 km from Labuan Bajo, Padar Island the third largest island in Komodo National Park. Padar possesses a surreal landscape, fringed by bright green-capped mountains of fairy-tale shapes. All of which is surrounded by three turquoise bays. The sand of each bay is a completely different color: One is pearly white, another charcoal black, and a third is a very rare baby pink. This rare combination gives Padar Island a magical charm like no other. Located within Komodo National Park, Kanawa Beach is one of the most remote and jaw-dropping beaches in all of Indonesia. Kanawa Beach has limited electricity, no internet, and no phone service, so it’s the perfect place to truly unplug and enjoy Mother Nature’s work.